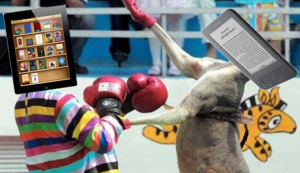 The modern reader encounters scads of devices which tout the ability to enjoy eBooks anywhere. A broad range of options for screen size, battery life, speed, and web compatibility make the choice complex. Consider your own reading habits when deciding which device best suits your lifestyle. Tablets offer nearly all the power of a home computer, yet are light and handy for travel. With screens commonly ranging from 7 to 10 inches, they are larger than a paperback, but still smaller than a newspaper. The functional web-browsers are able to peruse the Delaware Library Catalog, check out an eBook, and begin reading, all from the same device! As tablet battery life reaches 10 hours plus, they have become an enticing option for digital readers on the go. On the other hand, the market for eReaders found its audience, with device prices starting around the cost of a hardcover book. The most compact eReaders can fit in a deep pocket, are about 7 ounces, and boast over 100 hours of battery life. Many eReaders have limited web functionality, so you need to use a computer to check-out eBooks, and then move them to your eReader via USB or Wi-Fi connection. The odd-man-out in this discussion is the ubiquitous smartphone. Not quite a personal computer, but more than a mini-tablet, an Android smartphone user can find the Overdrive Media Console in the Android App Market to download books directly to their phone. Imagine the next time you are waiting in an airport or a doctor’s office that you can use your cellphone and a Delaware Public Library card to check-out, download, and read an eBook while you wait! 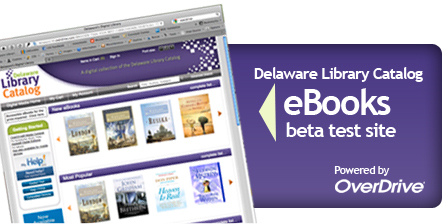 On Monday, Governor Markell announced all Delaware public libraries now provide free wifi and free downloadable eBooks! You can browse the eBook collection, check out with your library card, and enjoy immediately or transfer to a variety of devices, including Kindle, Sony Reader, Nook, Kobo, iPod, iPad, iPhone, Android, and more. Titles will automatically expire at the end of the lending period. There are no late fees! Check our website for directions on downloading to Kindles, other eReaders and mobile devices. With hundreds of popular fiction and non-fiction titles to choose from, the new collection is guaranteed to have something for everyone. You can download best-selling novels, well-known classics, self-improvement guides, and much more. 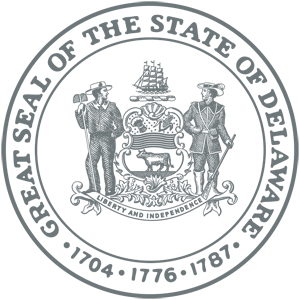 Please consider supporting the purchase of additional eBooks by making tax-deductible contributions to the Delaware Libraries eBook account at the Delaware Community Foundation. What do John Grisham, Wally Lamb and Janet Evanovich have in common besides being best-selling authors? They have all penned a Christmas-themed book. Find these titles and other holiday-themed books by some of your favorite authors featured on the Genre LibGuide http://guides.lib.de.us/genres for December. No time to read the books by Grisham, Lamb and Evanovich mentioned above? Also featured on the LibGuide this month is a selection of holiday-themed short story collections. The collections include modern, funny, classic, and poignant short stories to get you in the holiday spirit.